The Bad Bad Things are on iTunes! 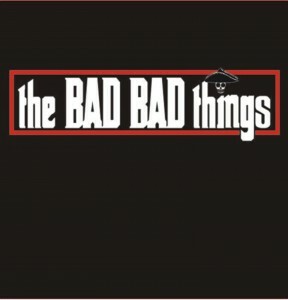 Juat a quick post to let you know that my band’s new self-titled EP, The Bad Bad Things, is now available on iTunes! It’s a five song album of some of our most popular songs, and we’d love it if you would go take a look! If you like what you hear, it’s only $4.95 (A bargain!). If you REALLY like what you hear, please recommend us to a friend. We’re planning on touring soon, so every penny counts! The new Bad Bad Things EP can be found here!